Founded in 2005, Feelunique are Europe’s largest online beauty retailer, with over 400 brands in their portfolio. Their mission is to harness the positive power of beauty and Feel Unique are proudly digital, continuously innovating, discovering and sharing. The brand is now shipping to over 120 countries. Feelunique uses iAdvize to provide chat support across two key teams, customer care and beauty experts. They are able to provide their customers with direct access to their customer care team to provide the best solutions to their queries and also access to beauty experts to ensure they make the right purchase. Feelunique experience a large volume of traffic through their website and are committed to creating a a truly digital, joined up user experience. To achieve this, Feelunique want to ensure that they are not only communicating with their customers at the right time but also directing each query to the right agent. A chat solution was launched to enable agents to communicate with customers in real time. 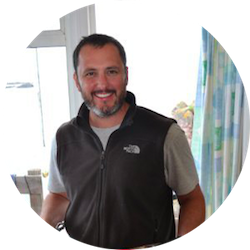 “We focus on pre sale and post sale contact types and we use a scoring system to identify where a customer is within their journey. We then use iAdvize’s targeting engine to make sure that we direct the right enquiries to the right agents on our side to best answer the customer queries” explains Tom Newbald, Marketing Director. Through the interaction our customers have with our agents we have a confidence that customers will make the right purchase for them which endears customer loyalty and fewer post sale queries. Having seen the value of the conversational commerce platform, Feelunique have also rolled out the iAdvize solution on mobile to provide a touchpoint to cater for the evolving needs of their customers. How do you engage your customers on mobile devices? Having seen the value of the conversational commerce platform on our website, we have also rolled the solution out on mobile. We had to carefully consider how we would do this, different screen sizes and different user interactions means it is not a one size fits all approach across all devices. On mobile we have different targeting capabilities, we are careful not to present that chat boxes too frequently. 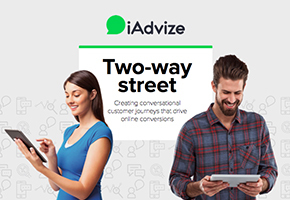 We have so much traffic going through our mobile site and so the iAdvize chat solution was perfect for us. What is you experience of working with the iAdvize team? One of the great things about our collaboration is the cultural fit between Feelunique and iAdvize, we are both young companies with an entrepreneurial spirit. We have direct access to our account managers and we do a lot of work to look at our performance in order to optimise results. The proactive nature of the team at iAdvize makes it very easy to work with them and make the most out of the platform. Do you want to test it on your website for free? How do House of Fraser benefit from iAdvize? 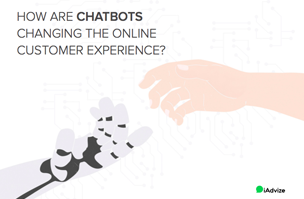 [White Paper] How are Chatbots changing the online customer experience?